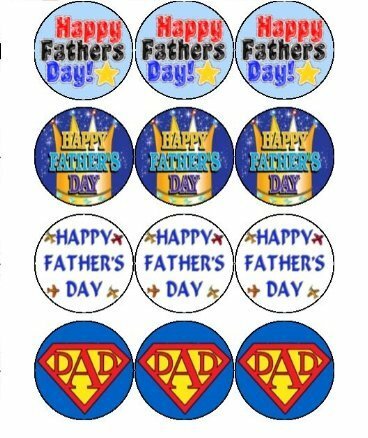 Father's Day is on Sunday, June 17 this year. 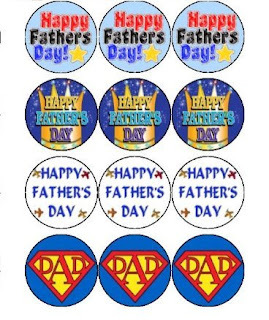 Not long to go now before we can spoil our dads, and help our children spoil their dads too. 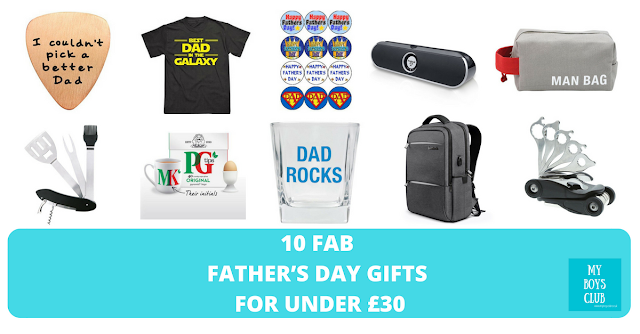 Buying the perfect Father’s Day gift can be tricky but if you are stuck for gift ideas, we've got some ideas to fit every budget from £1 to £30. Please note this post includes affiliate links and we have received complimentary products too. 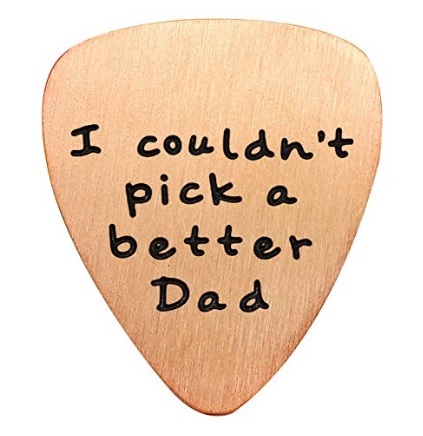 For less than a fiver, Dad can have his own glass – the perfect addition to any man cave. This high quality rocks glass capacity is 225ml, dishwasher safe and 8.5cm tall. 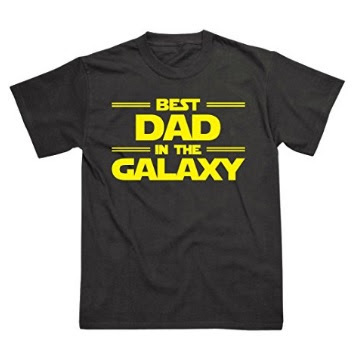 Which dad wouldn’t want their own Best Dad in The Galaxy T-Shirt. 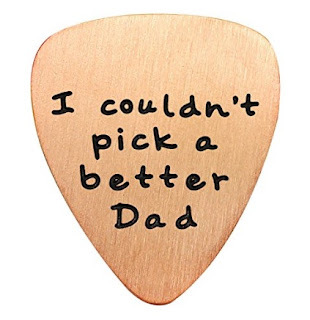 For any budding guitarist out there what could be better than playing your 6-stringed instrument with an 'I couldn't Pick a Better Dad’ pick. Made of 100% cotton canvas this 12.5cm bag is durable, rugged and will keep every man organised with all the tools on the go. This travel-sized Man multi-purpose bag is perfect for toiletries, grooming equipment, stationery and much more. Show them how tea-riffic they are. 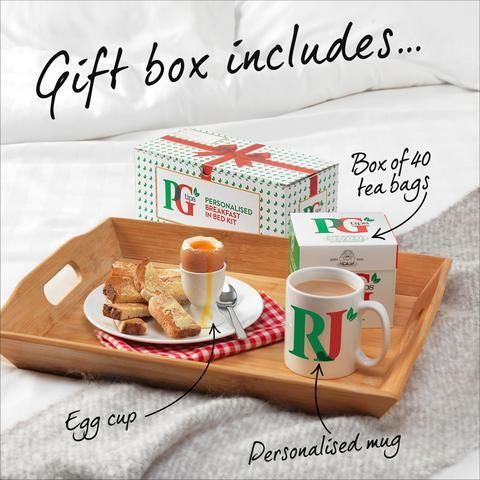 Bring them Breakfast in Bed with a delicious cuppa - served from their very own personalised PG tips mug! Each gift set includes a box of PG tips 40 Pyramid® tea bags, an egg cup and a personalised mug with initials! Made of stainless steel and supplied in a gift box this is a quality gift that will be appreciated as it is also functional. With sleek matt black packaging, featuring an embossed metallic monogram, these high-quality bicycle tool set is ideal for any cyclist. It is also light and compact, just 4 cm high, so easily stored while out on a bike trail. This Inateck Laptop Backpack with USB Charging Port, has a waterproof rain cover and luggage Belt. It has dual SBS zippers, is made from waterproof, scratch-resistant, anti-tear special nylon fabric, and breathable, wear-resistant microfiber synthetic leather. This Inateck 10W Bluetooth Speaker is a portable wireless speaker that also doubles as a stand for iPad, iPhone, Tablets PCs, enabling you to turn your tablet or smartphone into a TV. This BBQ Multi-Tool Set is made of stainless steel and supplied in a gift box. It is a high-quality gift combining well-made, useful tools and sleek packaging. Definitely 'instagrammable' at a Barbie this BBQ tool set is a 4-in-1 tool featuring corkscrew, bottle opener, spatula and brush. Which would be on your wish list?